The Catch It carpet floor mats from Lund offer rugged all weather protection with the style and elegance of a carpet floor liner. 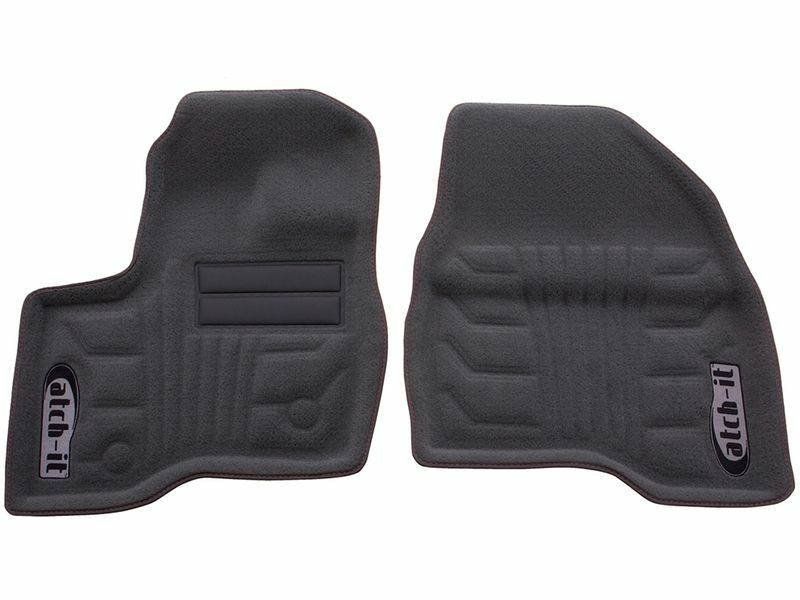 They feature a custom molded design that fits your vehicle perfectly for a factory installed look, along with an aggressively nibbed bottom side that ensures these car floor mats stay firmly in place at all times. The Lund Catch It carpet floor mats feature a raised perimeter design for added protection to keep debris from running off the mat. Deep channels are formed into the floor mat to channel and trap water, mud, and other debris away from your shoes and pant legs to keep them clean and dry. Lund Catch It carpet floor mats are manufactured from a heavy duty OE grade carpet material that is soft as well as stain resistant. They can be easily cleaned with a garden hose or running water for years of worry free use. Available for cars and pickup trucks, these molded carpet floor mats are available for front row, second row, and the third row floor area. The Lund Catch It carpet floor liners are available in three colors and come backed with a lifetime guarantee. 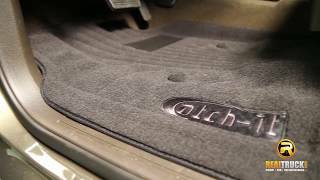 Lund covers all defects in materials or workmanship on the Catch-It carpet floor mats for as long as you own the vehicle in which they are installed. Lund holds your UPC code and other information as proof of ownership in their records for ten years. This warranty is non-transferrable and will expire if the mats are removed from the original vehicle or if ownership of the vehicle is transferred to another owner. 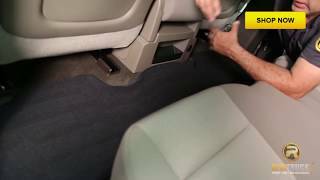 Your new Lund Catch-It carpet floor mats will be simple and easy to install into your vehicle. The custom molded design allows them to slip right into place and if your vehicle is equipped with any kind of factory retention device(s), your Lund mats will utilize them as designed. 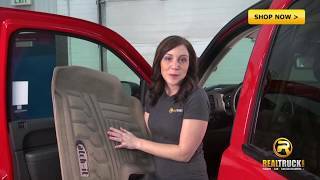 For additional information or if you have any questions about Lund floor mats, please feel free to give us a call at 1-877-216-5446 or 701-253-5906.